Turn heads for all the right reasons wearing this pretty white mini dress. 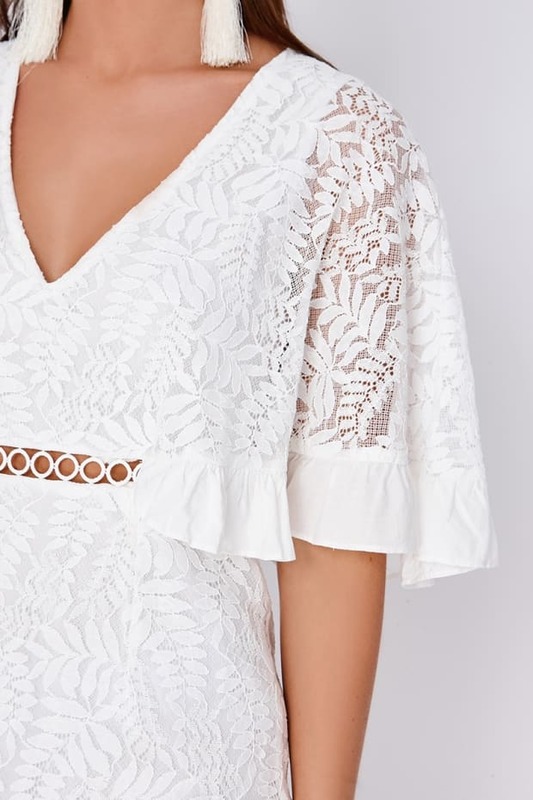 Featuring kimono sleeves, plunge neckline and a hella cute frill hem, this is a summer staple! Team it up with strappy heels and tassel earrings to complete the look.